TAKE YOUR WORLD FROM PHYSICAL TO DIGITAL WITH 3D SCANNING. Transform the way you work with the best-in-class Sense 3D scanner. 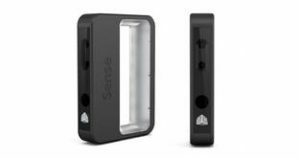 Fast, easy, portable and practical, the Sense offers full-color 3D scanning for use in your home, school and business. 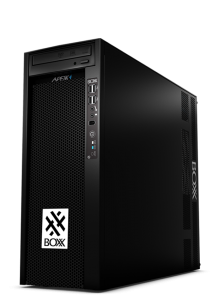 Featuring the latest Intel® Core™ i5, safely overclocked Intel® Core™ i7, or powerful Intel® Xeon® multi-core processor, APEXX 1 delivers seamless, smooth CAD & 3D performance – all housed inside the world’s smallest custom workstation chassis. And, with room for a professional dual-width NVIDIA® Quadro™ or AMD® RadeonPro™ graphics card, APEXX is a tiny powerhouse. 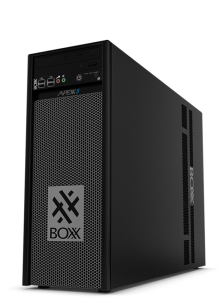 Discover how 3ds Max, Revit, SOLIDWORKS, and other pro applications are supposed to run on the best-selling APEXX 2 – the most widely-used system in the entire BOXX family. Available with up to two (on most models) professional dual-width NVIDIA® Quadro™ or AMD® RadeonPro™ graphics cards, APEXX 2 also features the latest Intel Core™ i7 processors with speeds up to 4.8GHz! 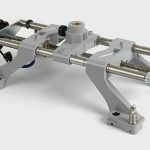 Rip through rendering and simulation tasks AND single-threaded workflows with amazing ease! With room for up to four (on most models) professional dual-width NVIDIA® Quadro™ or AMD® Radeon Pro™ graphics cards and two multi-core Intel® Xeon® processors (or a single, overclocked Intel® Core™ i7 processor), APEXX 4 delivers rock-solid performance and reliability for both CPU and GPU rendering, as well as 3D design. 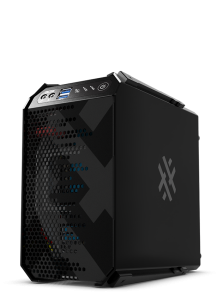 For professional design, rendering, and simulation, “The Beast” is the most powerful computer workstation on the market. 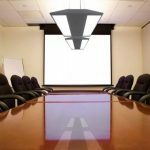 Featuring up to four professional, dual-width,NVIDIA® Quadro™ or AMD® RadeonPro™ graphics cards, a fifth single-slot GPU (on some models), and powered by a safely overclocked, ten-core Intel® Core™ i7-6950X Extreme 3.0 processor or dual Intel® Xeon® processors (22 cores max), APEXX 5 outshines them all. Weighing only 3.96 lbs. 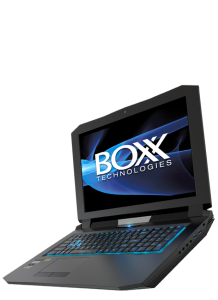 and just .69” thick, the ultra-thin GoBOXX SLM series is the perfect mobile workstation for a variety of professional applications. 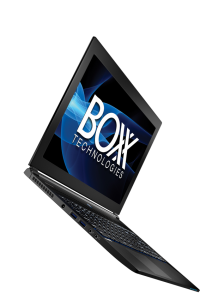 Featuring an Intel® Core™ i7 processor and professional NVIDIA® Quadro™ graphics on a gorgeous 15″ full HD (1920×1080) display, GoBOXX SLM provides ample performance and reliability, enabling you to work from anywhere. 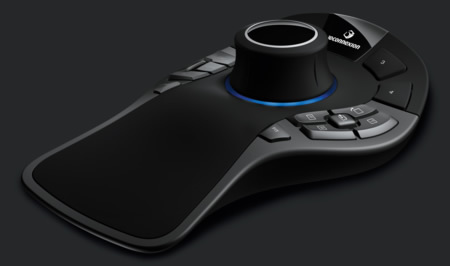 Capable of handling complex 3D assets for mobile VR development and deployment, GoBOXX MXL VR is ideal for game developers, VFX artists, engineers, and architects ready to dive into virtual reality. 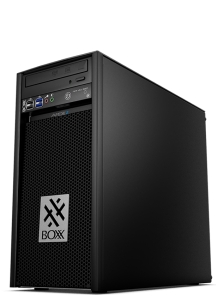 Featuring a desktop-class 4.2GHz Intel® Core™ i7 processor, high-end NVIDIA® GeForce™ graphics, and up to 64GB of memory, GoBOXX MXL VR delivers real horsepower for demanding, immersive, virtual reality experiences.